Photographs that feature an animal (including birds, but excluding butterflies, spiders, and insects) as a major feature. 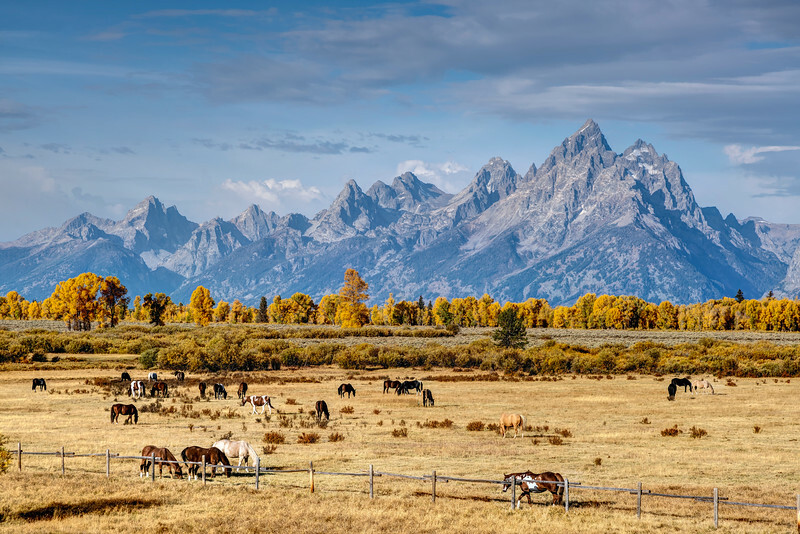 The view from the Elk Ranch Flats roadside pulloff in Grand Teton National Park is almost comedic in how picturesque it is. Honestly, it looks like something from Lord of the Rings. Beautiful, jagged mountains? Check. Line of bright-yellow trees? Check. Horses? Yup. Horses. On a beautiful, wide-open field. Part of me still has a hard time believing this place actually exists.